Saturday morning I brought out all my strips in their various storage containers. 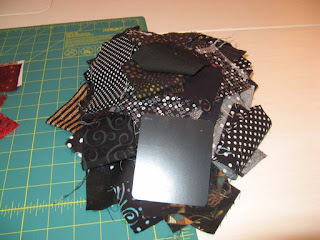 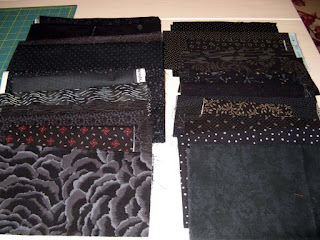 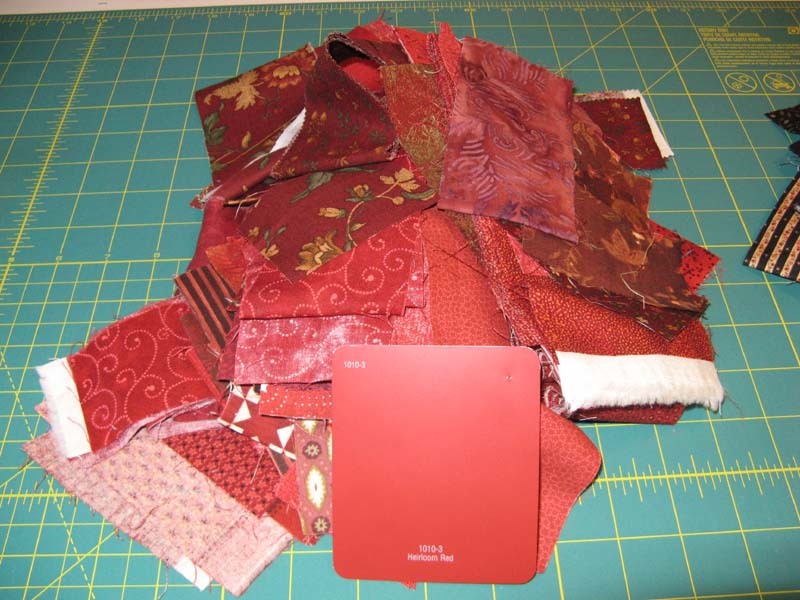 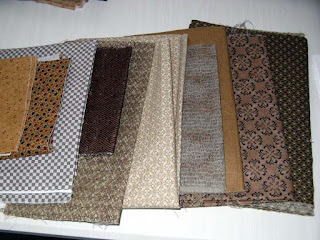 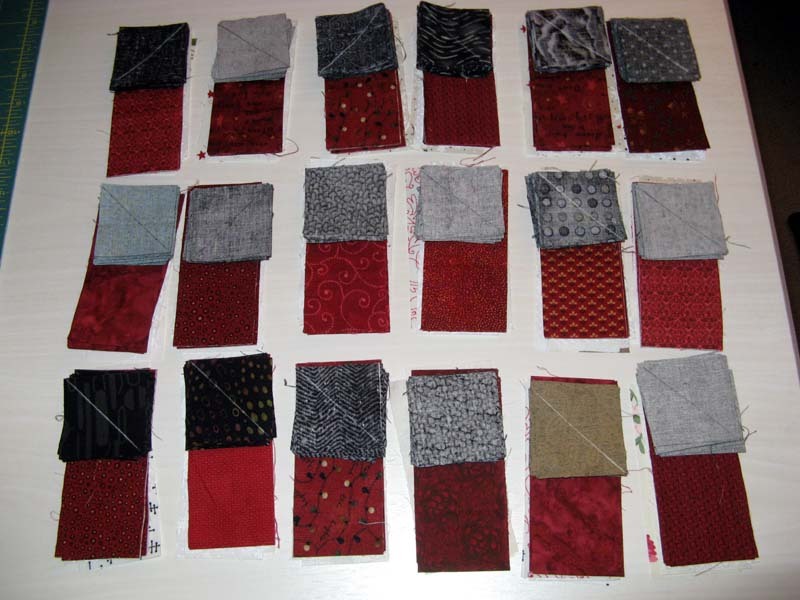 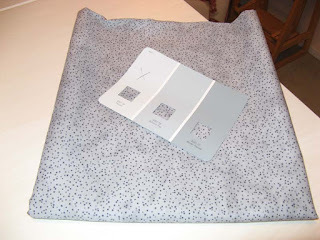 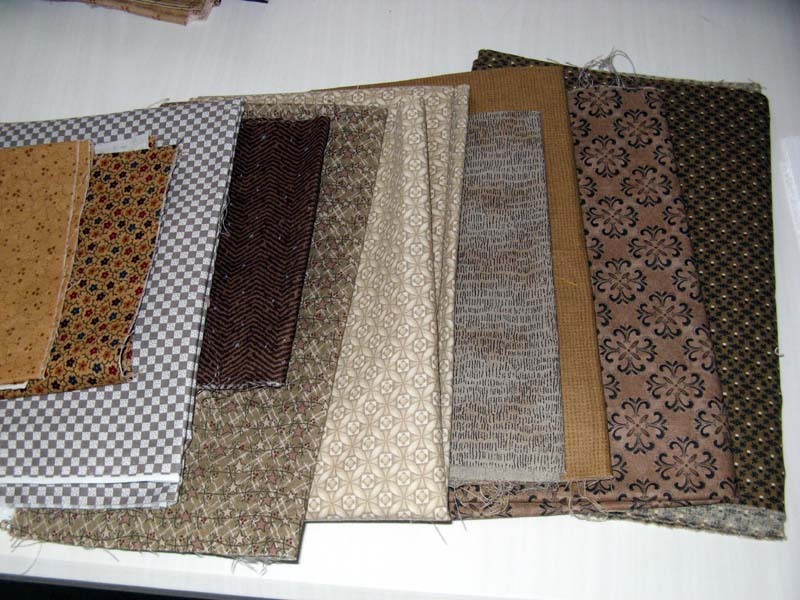 I spent the next several hours sorting out the fabrics I might be able to use for Kontentment. 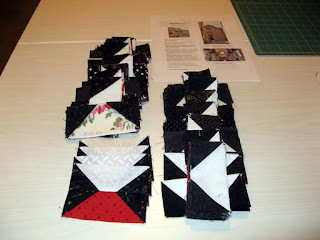 Directions for Bonnie Hunter's Allietare Part 1 was released on Black Friday...I'm sure you've heard :)! 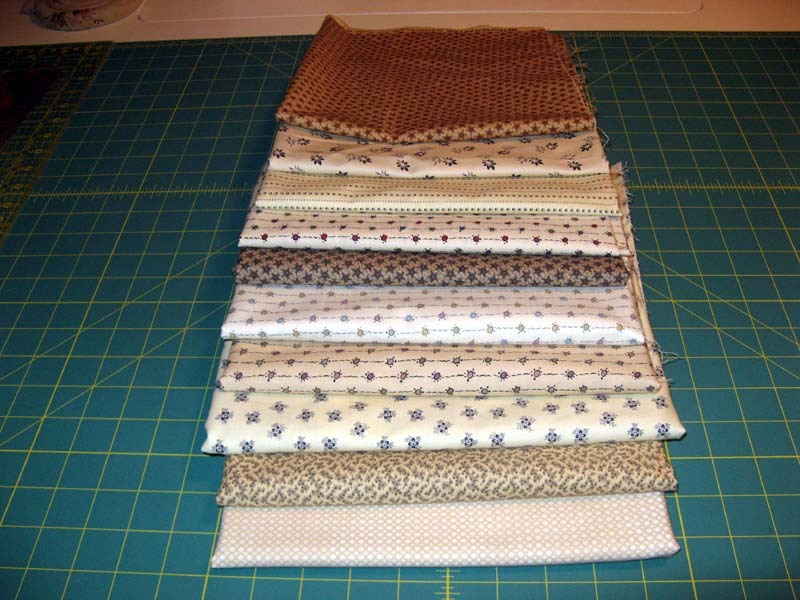 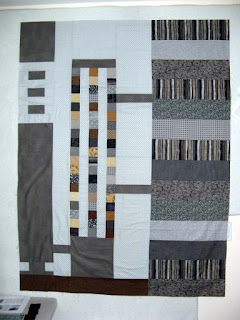 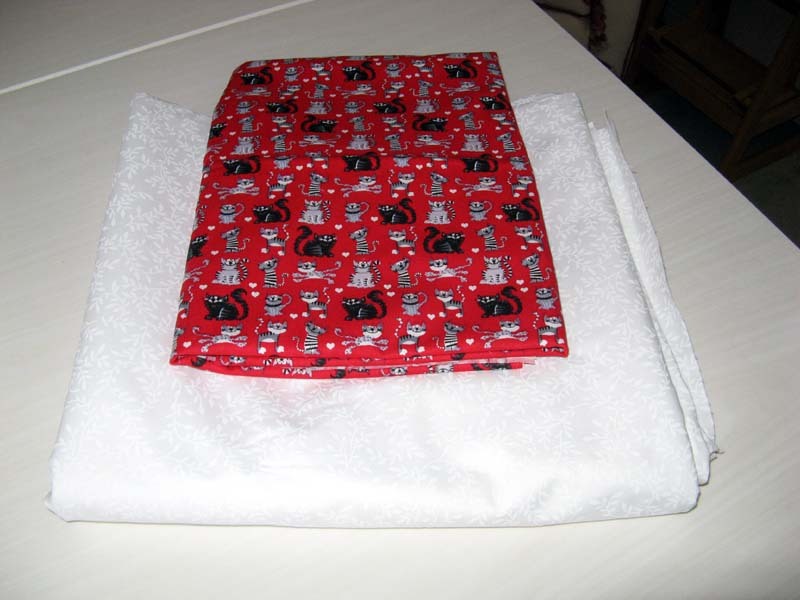 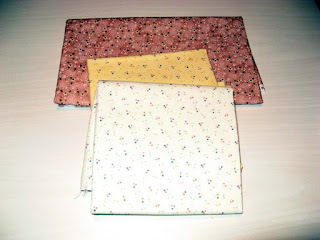 Funny that with all the strips I have these are the only fabrics that I found might work. 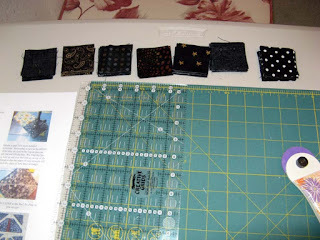 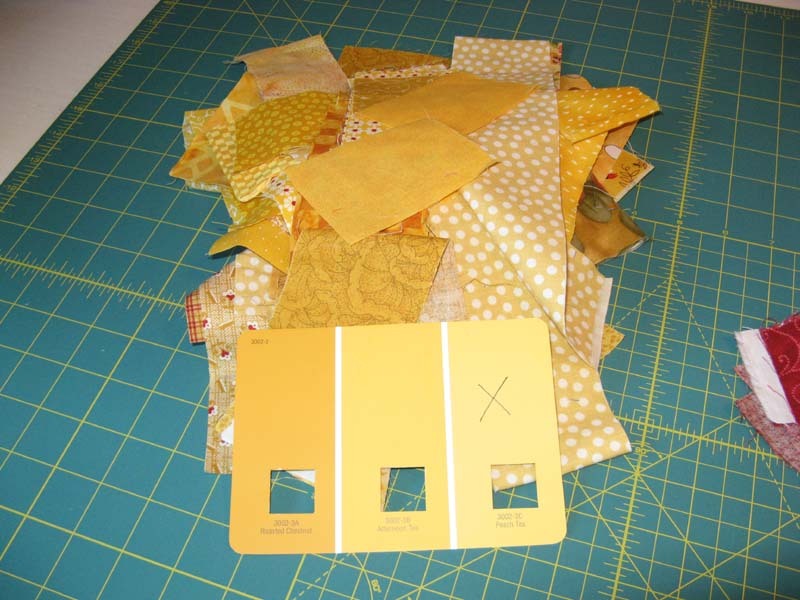 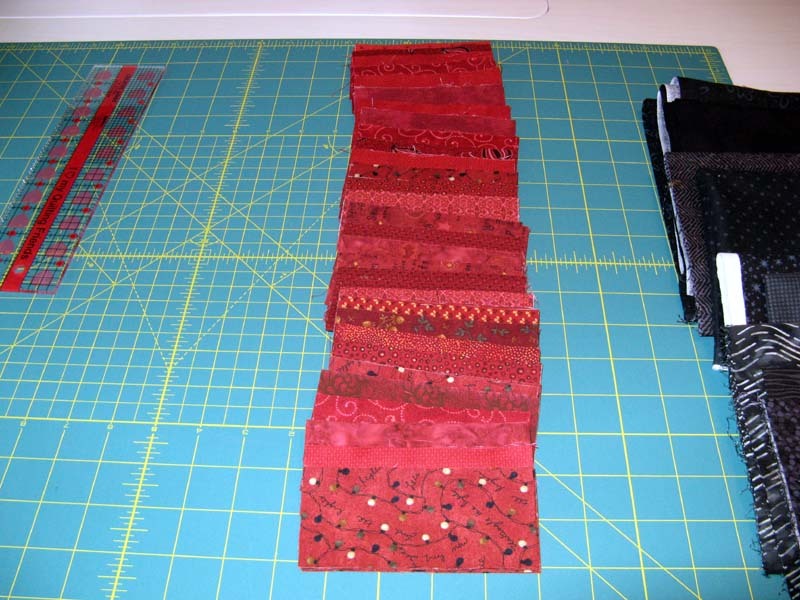 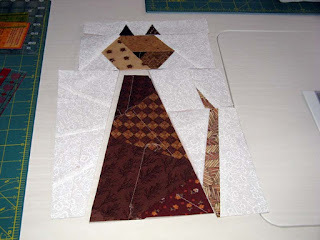 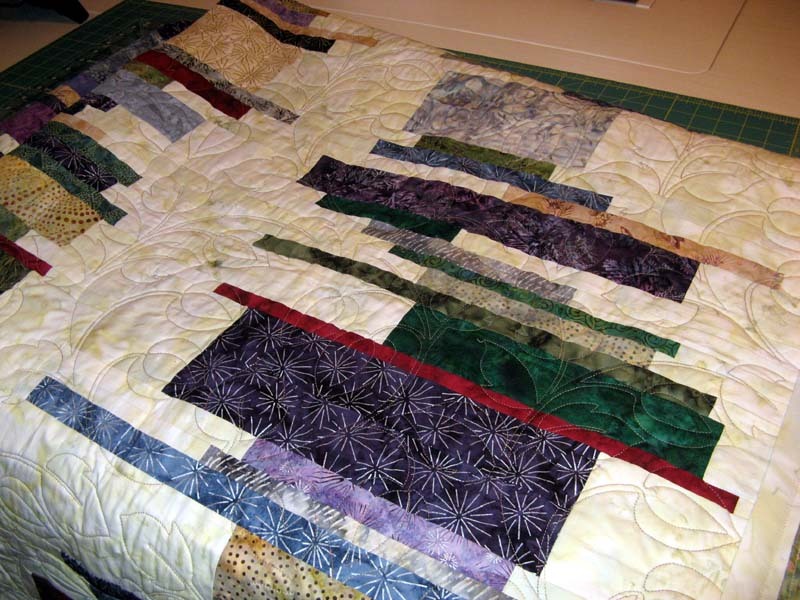 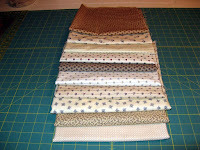 Depending on what sizes are needed for this project I plan to use as much of the precut strips before cutting into yardage. 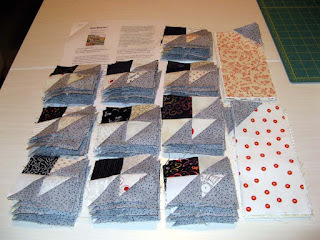 After the "big sort" DH and I headed out for lunch and a stop at Rosie's for the constant gray. 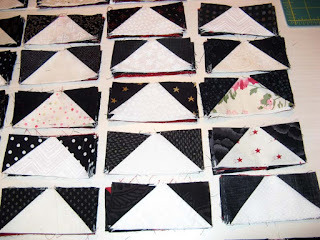 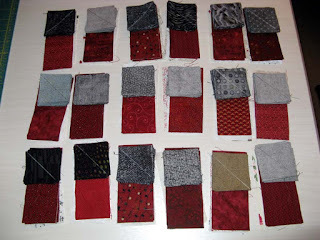 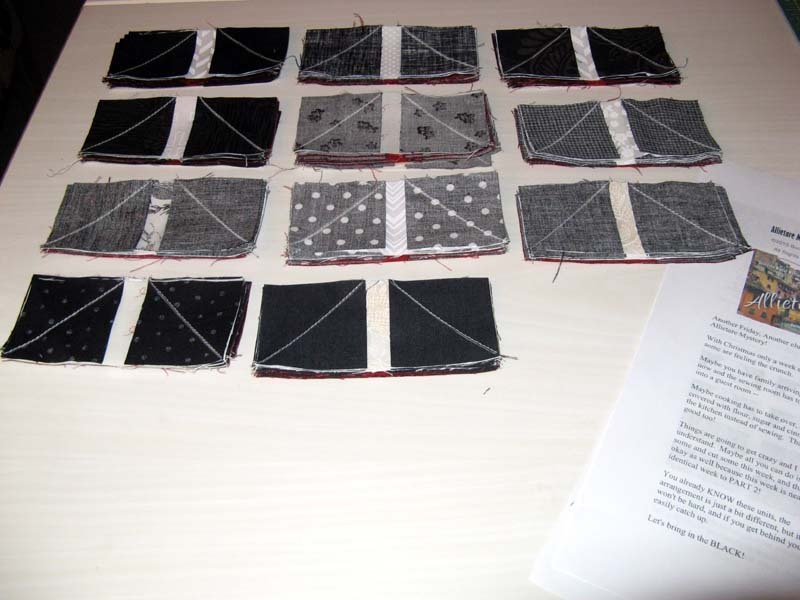 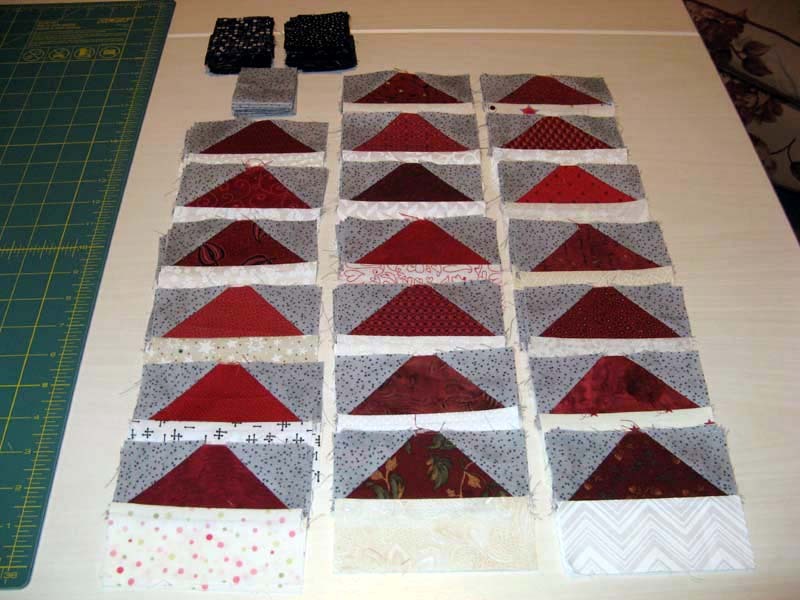 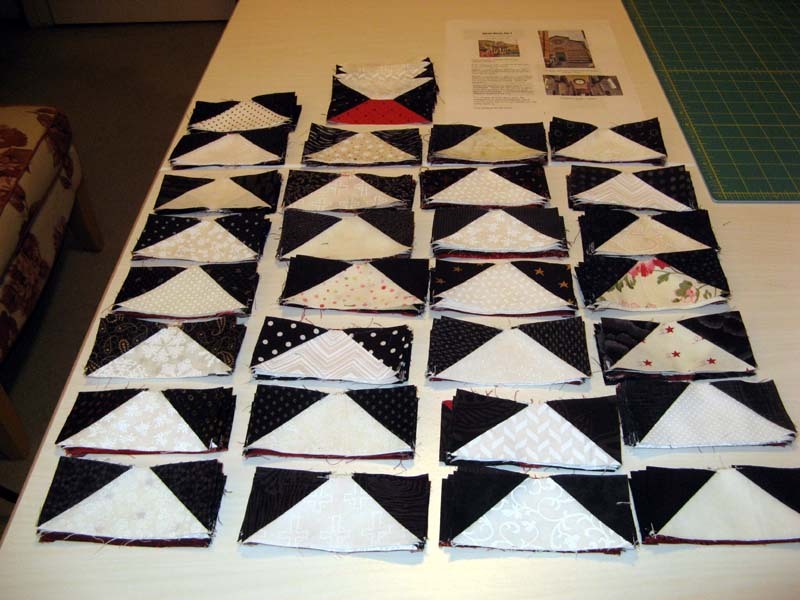 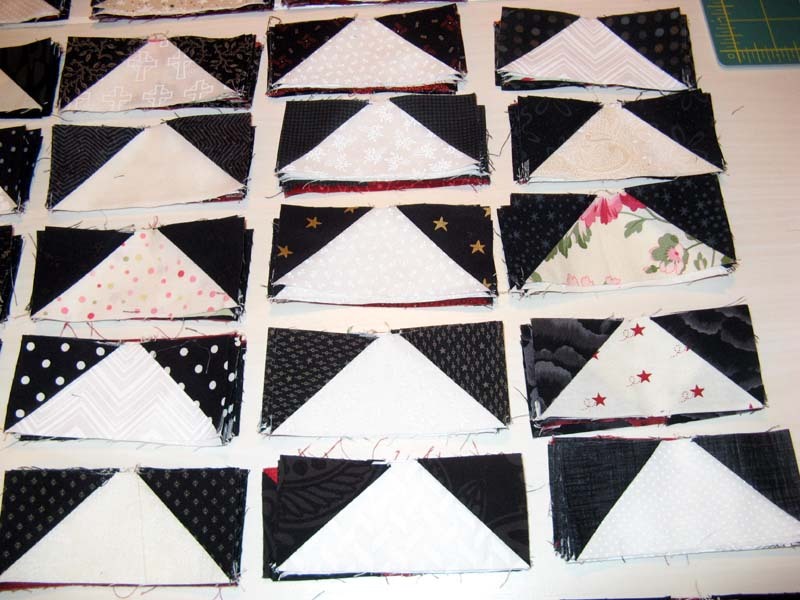 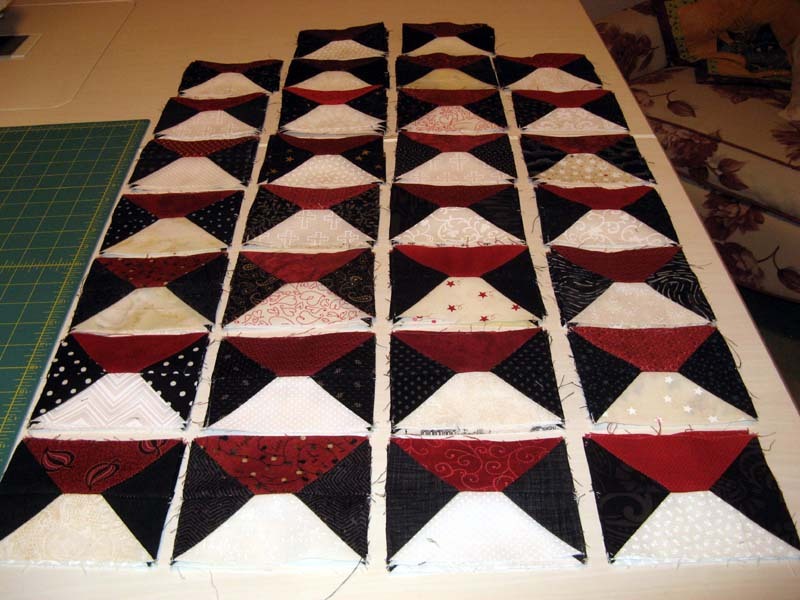 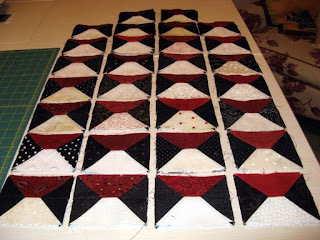 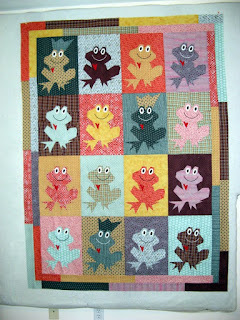 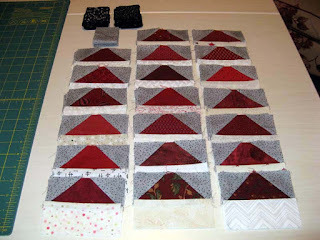 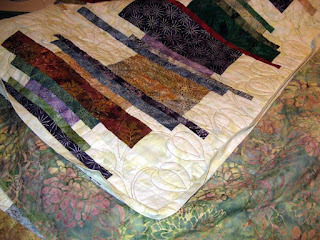 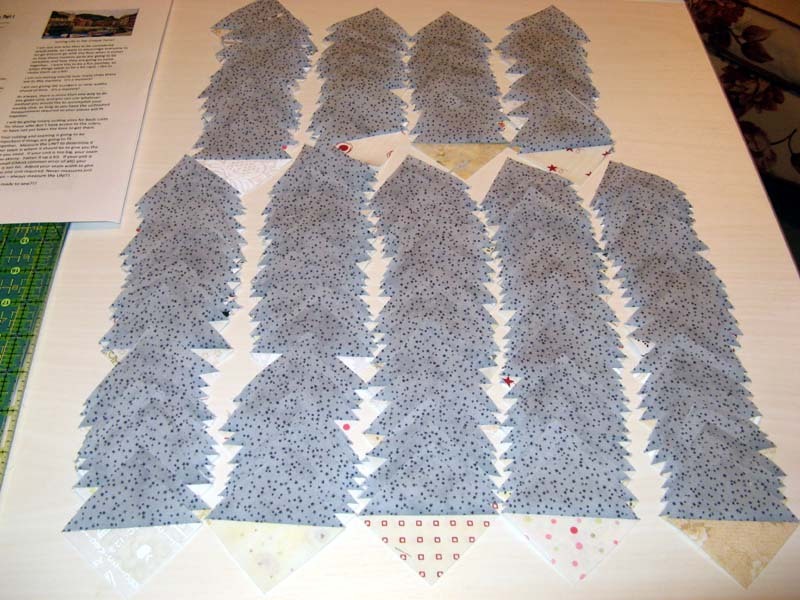 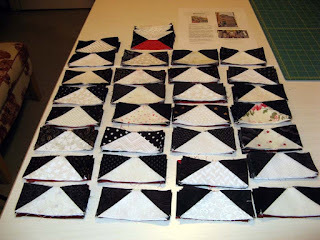 Sunday brought the time to stitch the 294 HSTs that are Part 1. So far only neutral strips have been used for Part 1. 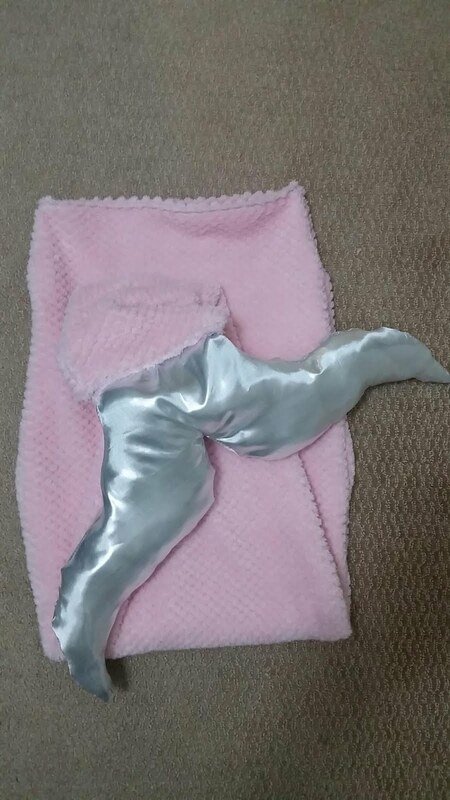 I'm pretty pleased with this outcome. 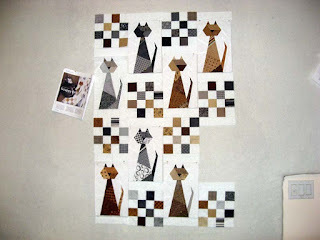 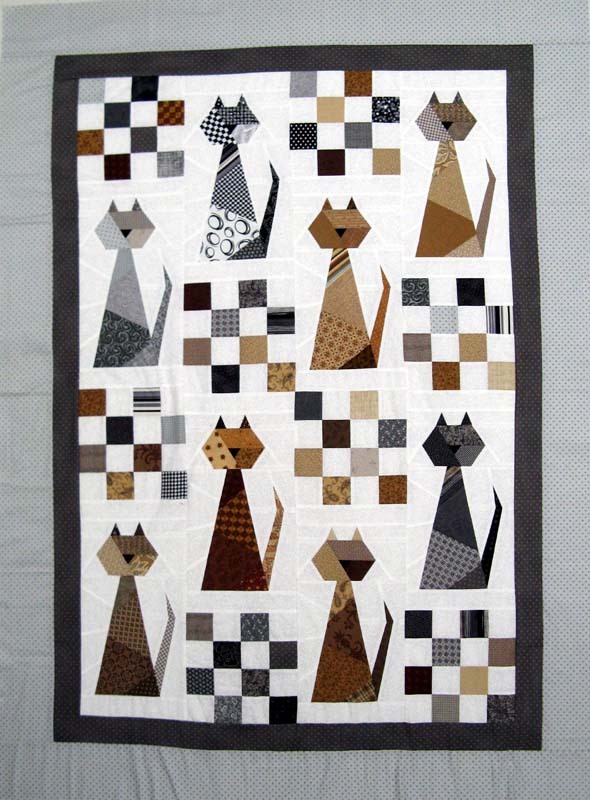 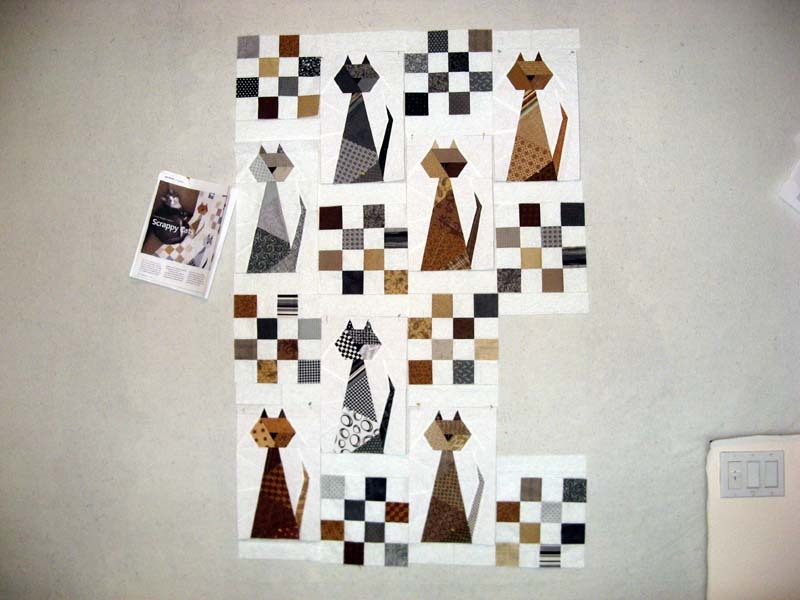 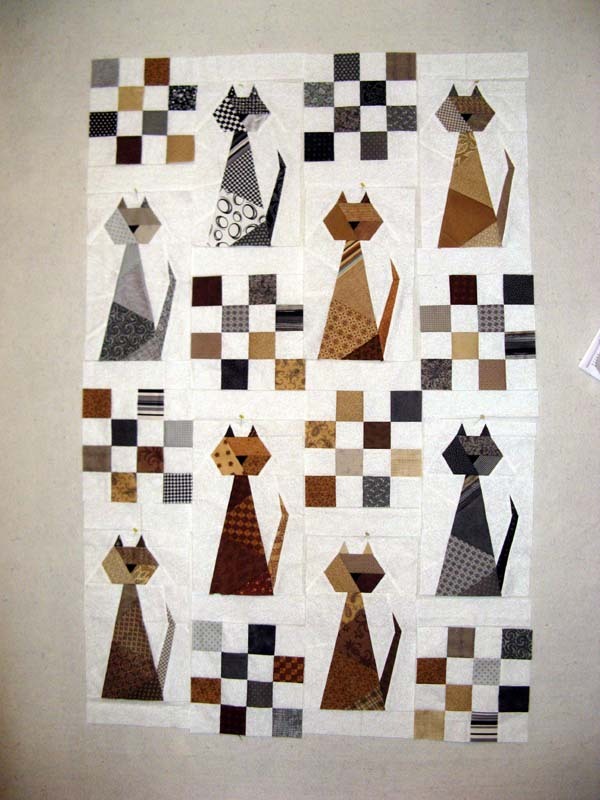 I have a pretty good variety of neutrals that include batiks, novelty, solids, flowers, geometric, and my ever present cat fabric. 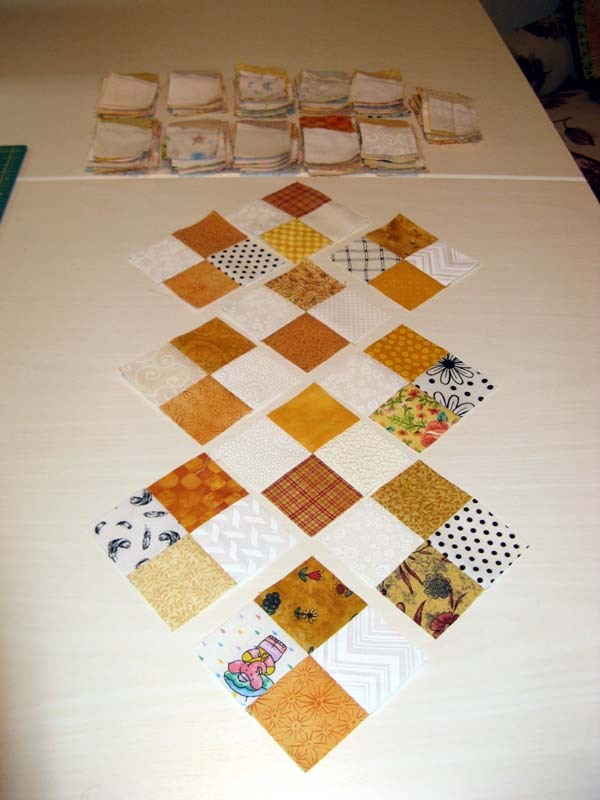 Part 1 done! 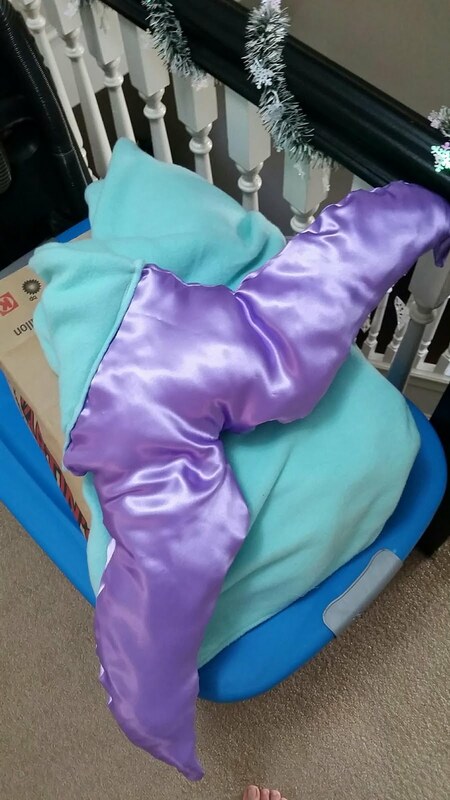 Ready for Part 2 on Friday. 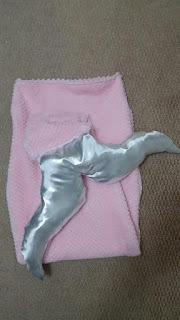 In the meantime I have some backings to finish stitching and I'll be figuring out a new project to work on between the release of parts in the Mystery. 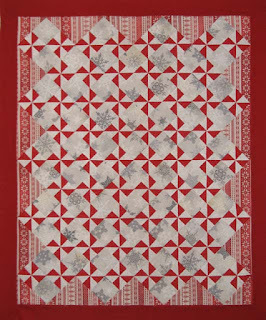 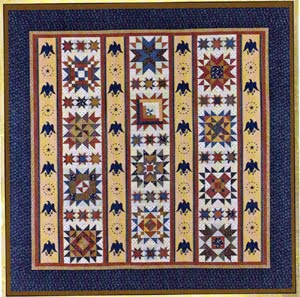 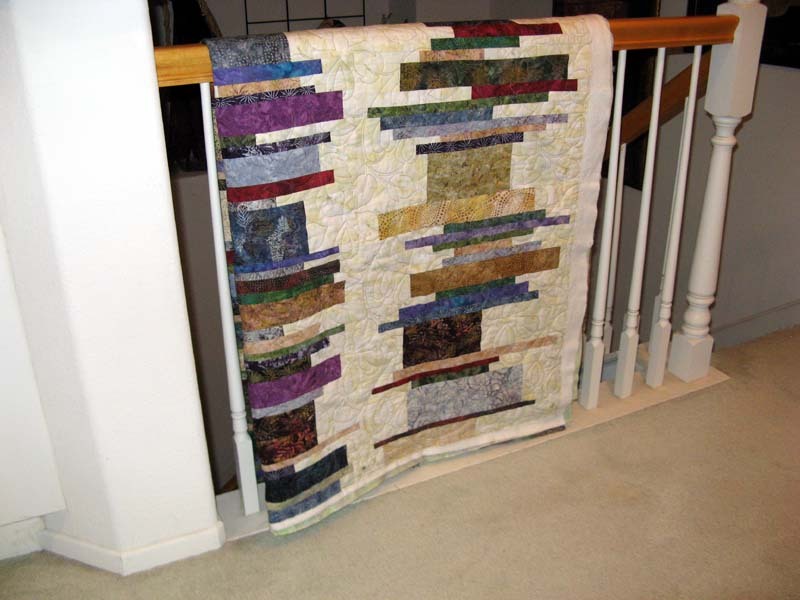 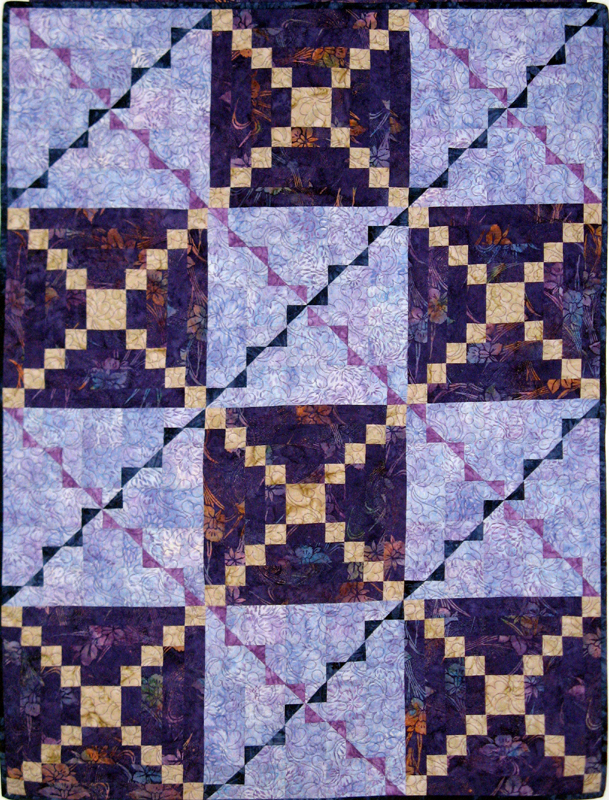 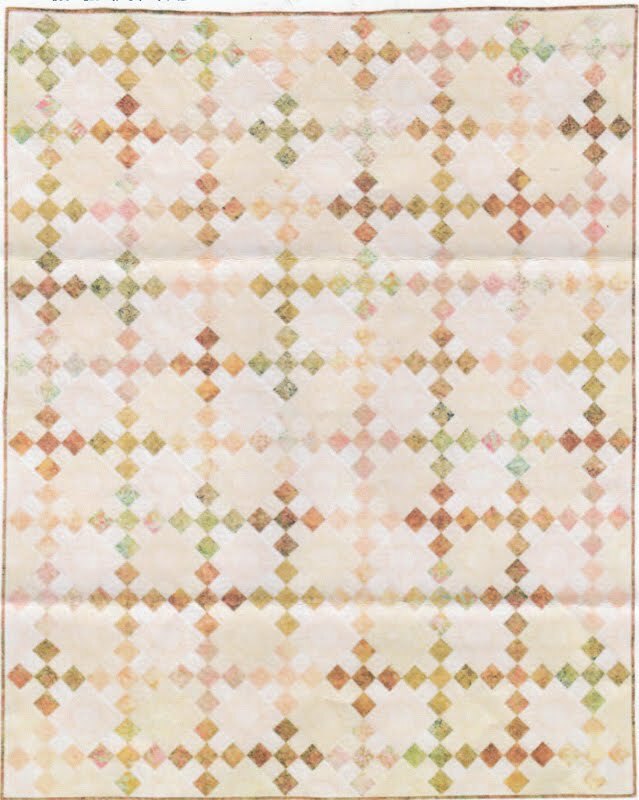 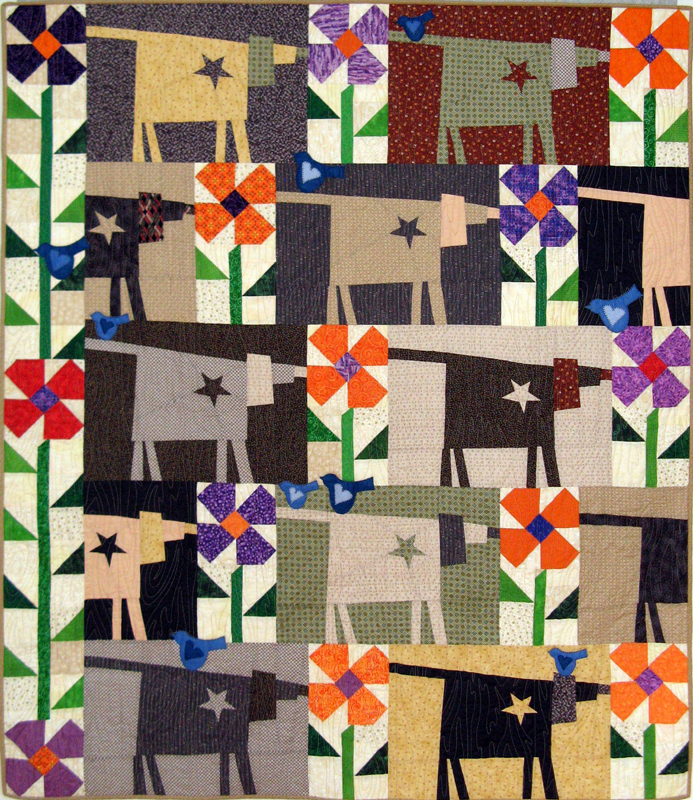 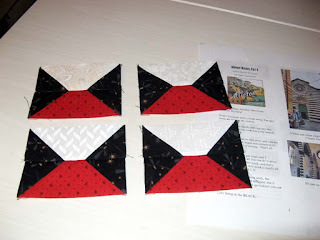 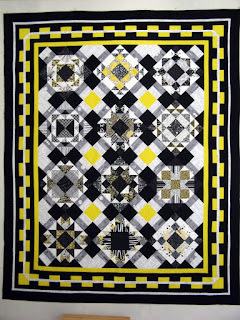 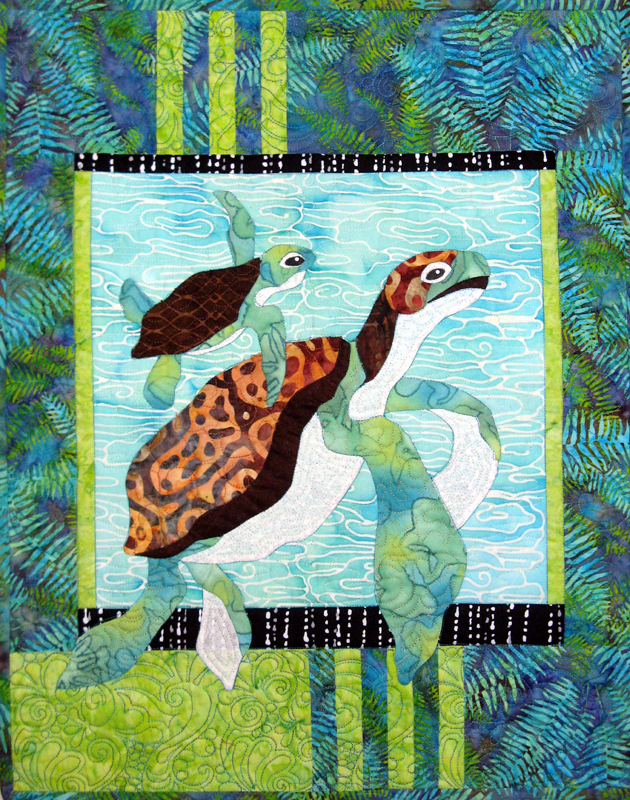 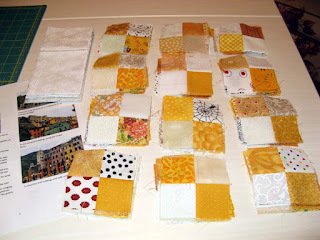 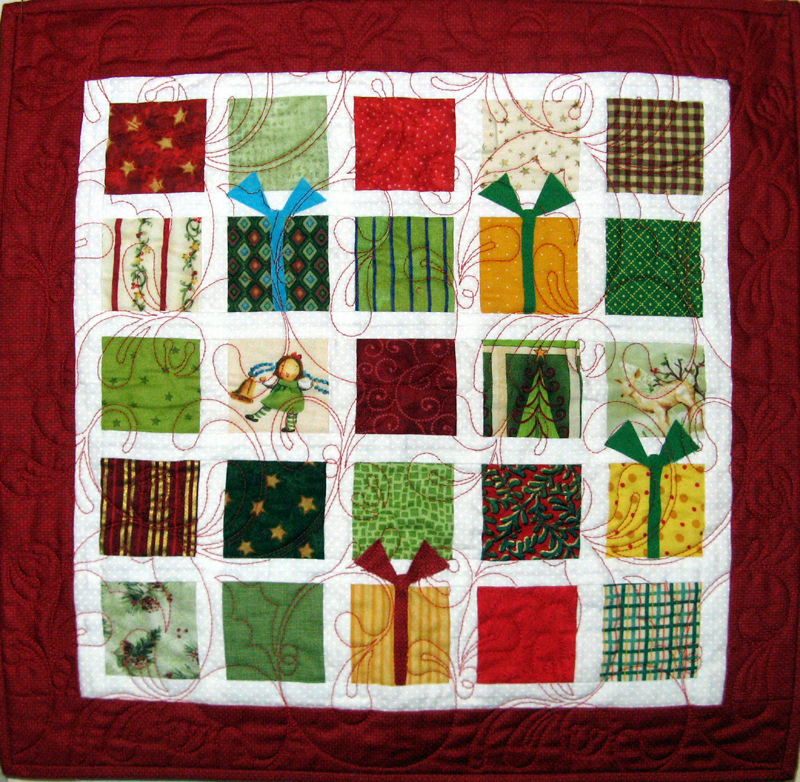 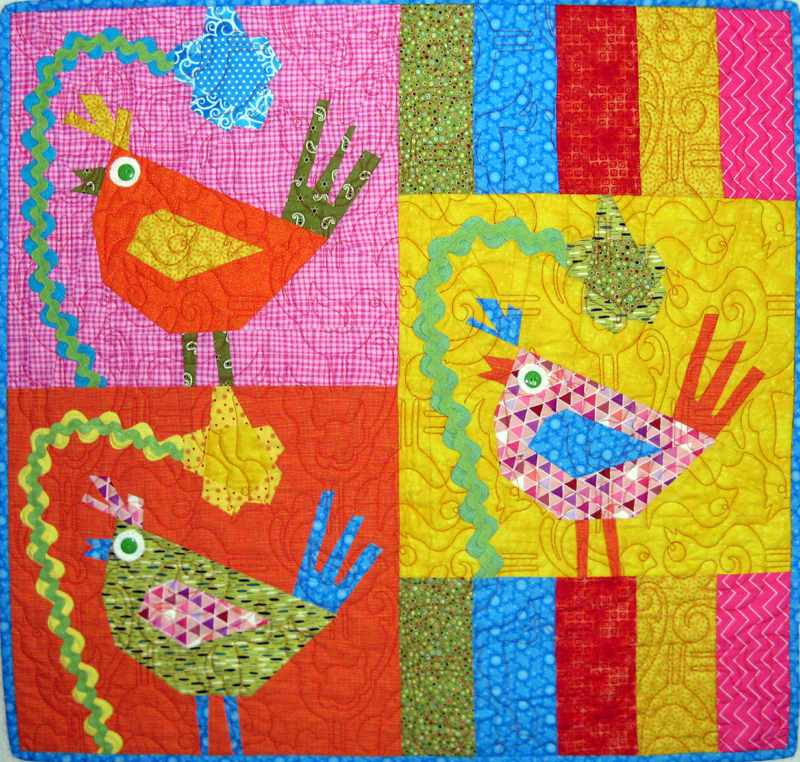 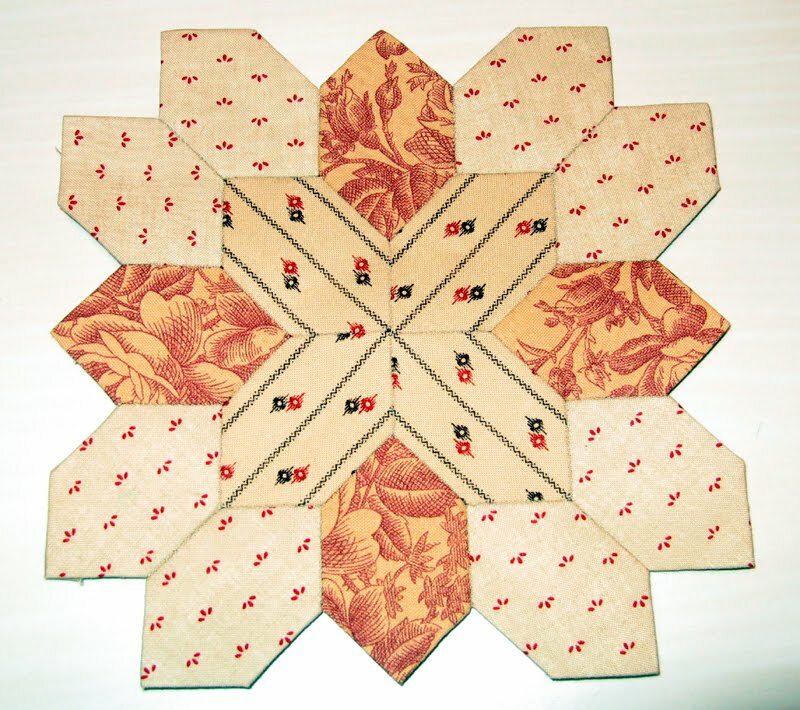 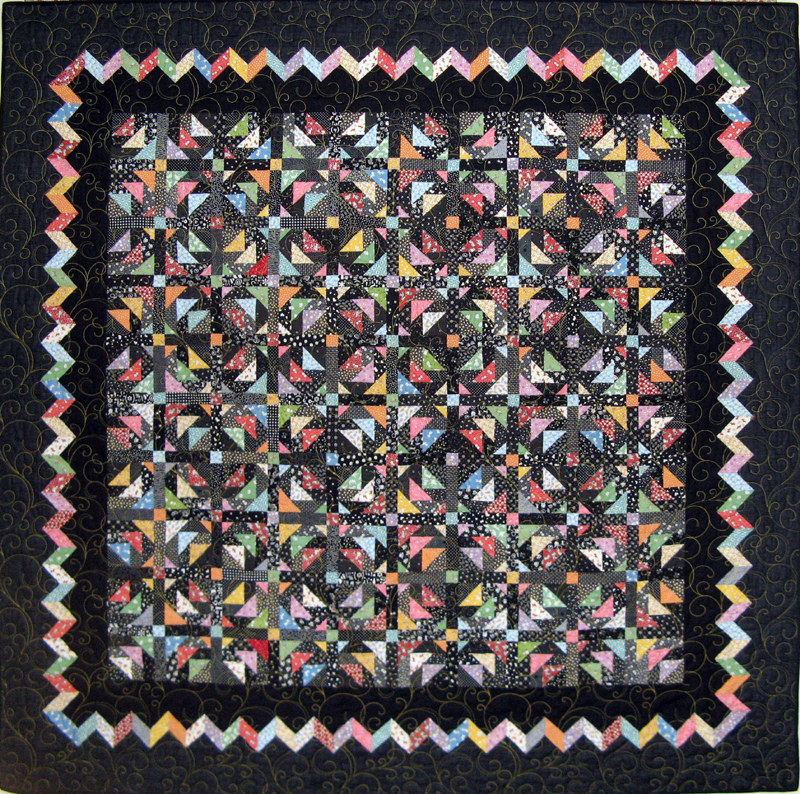 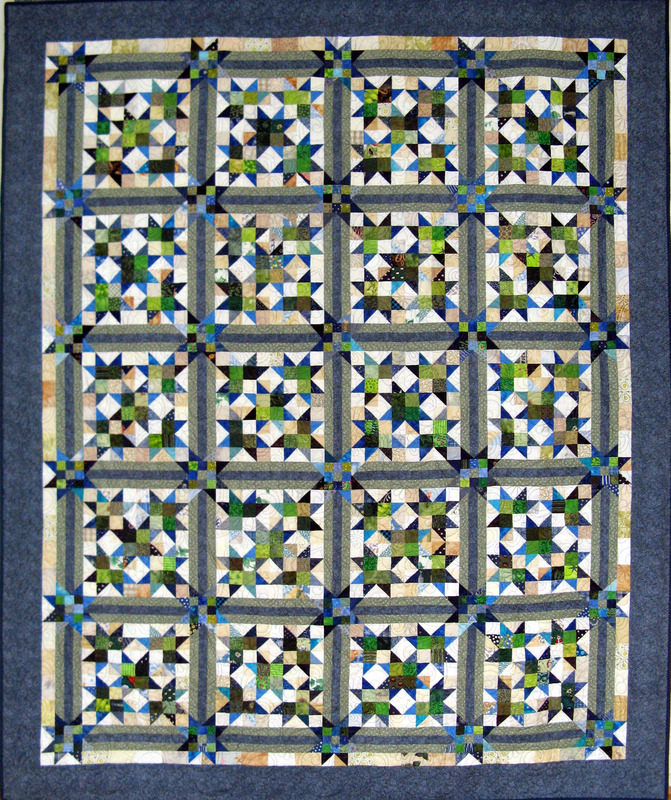 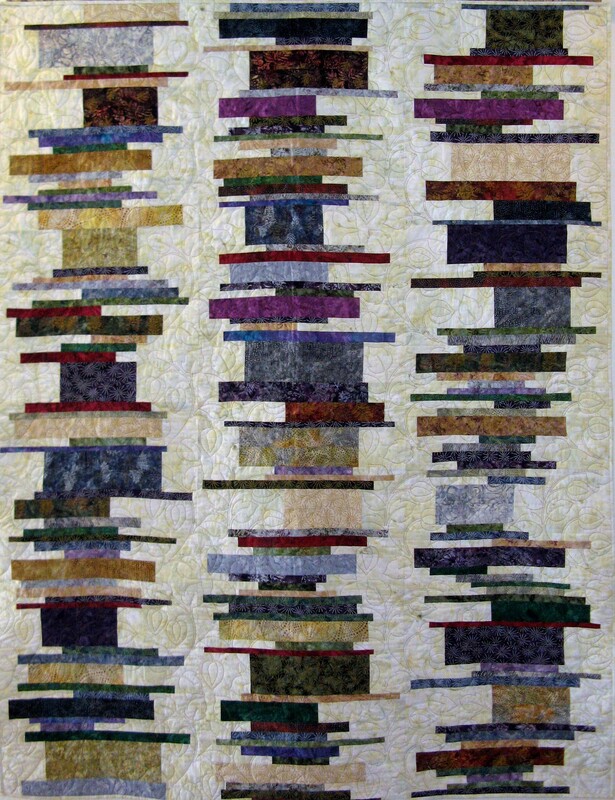 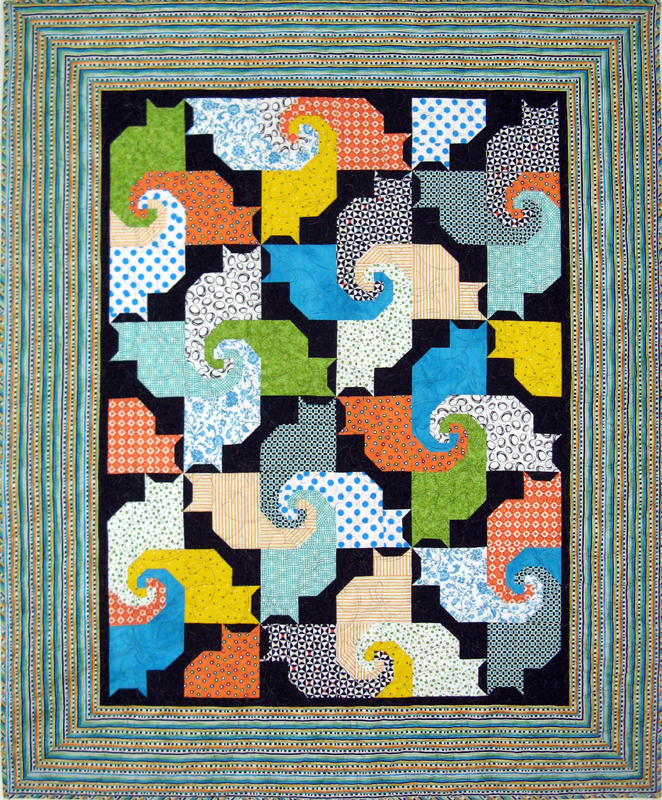 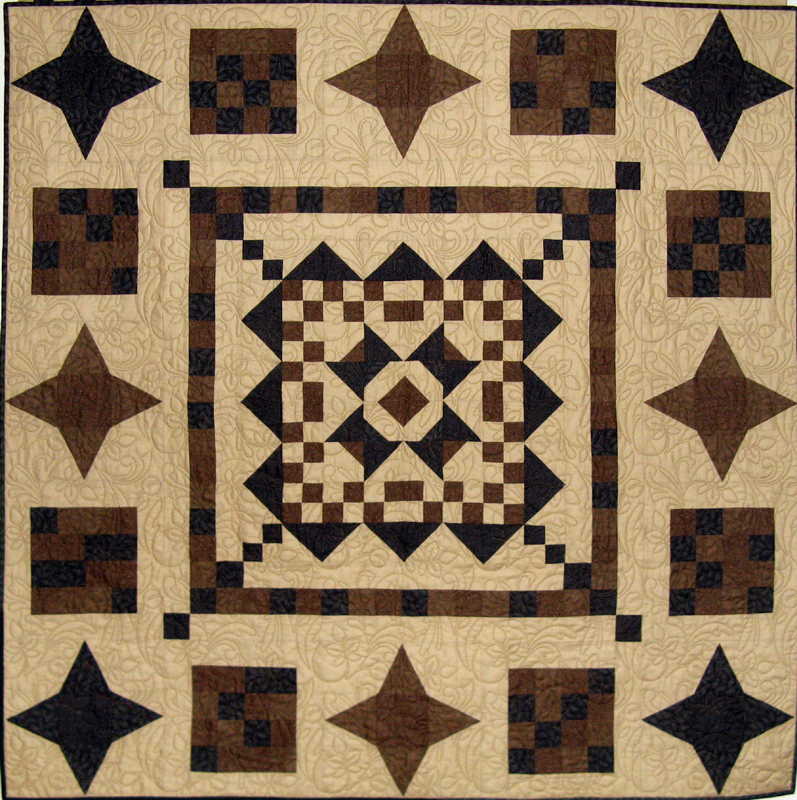 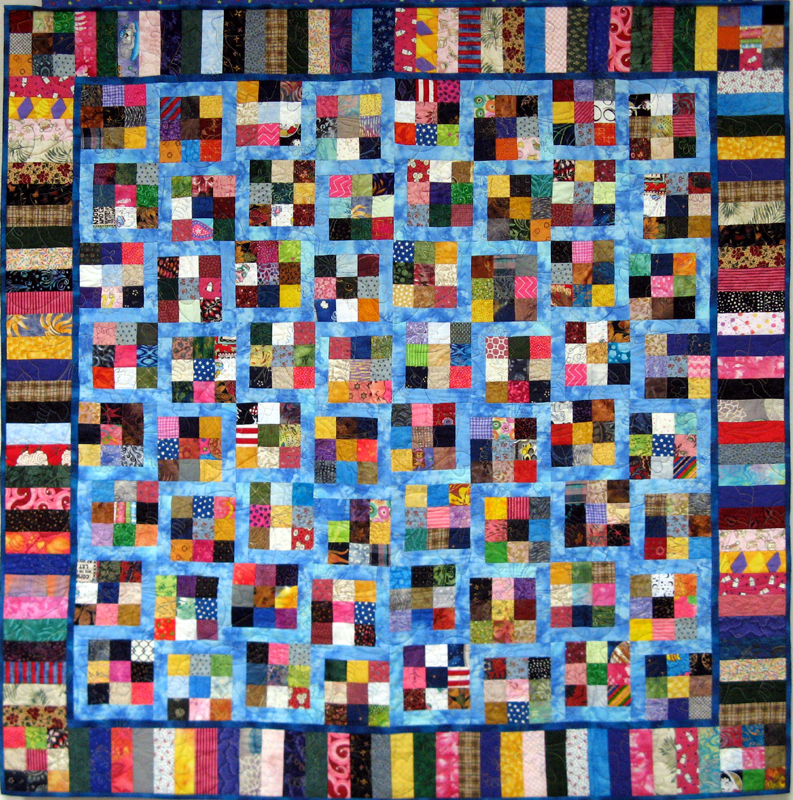 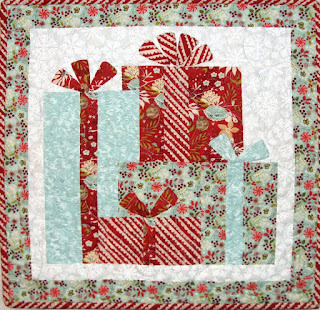 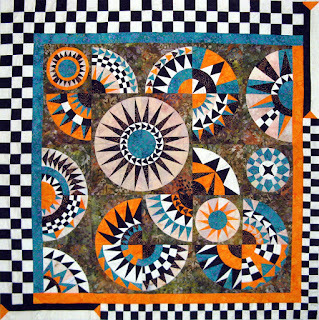 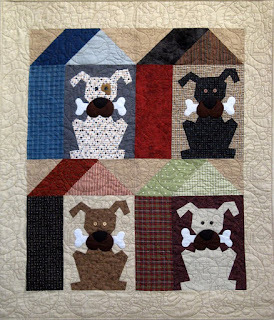 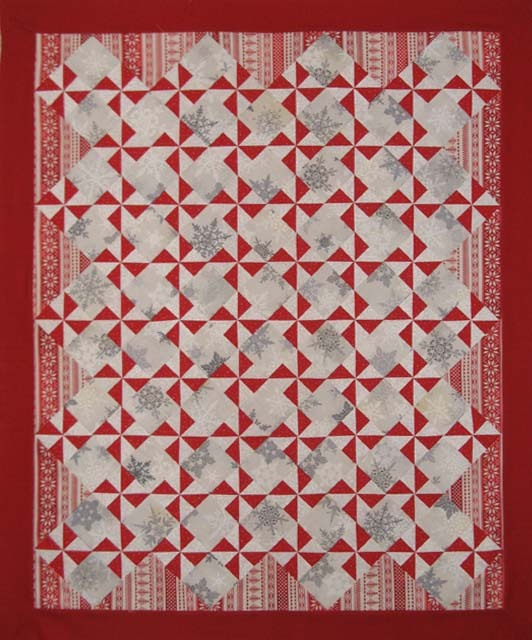 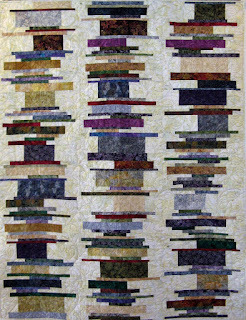 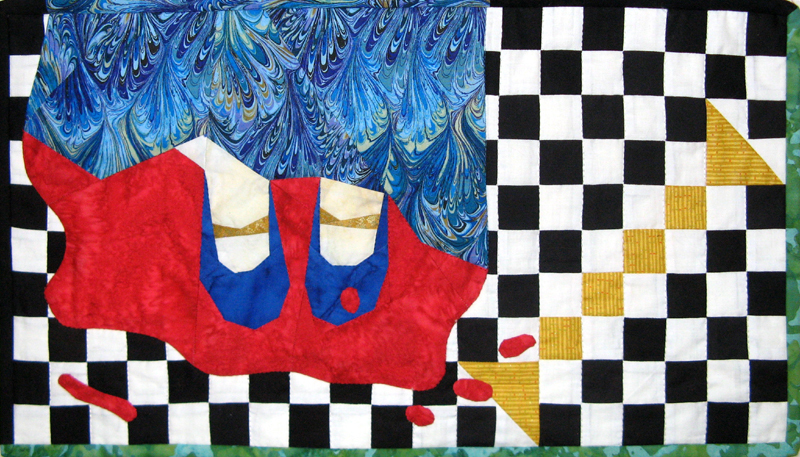 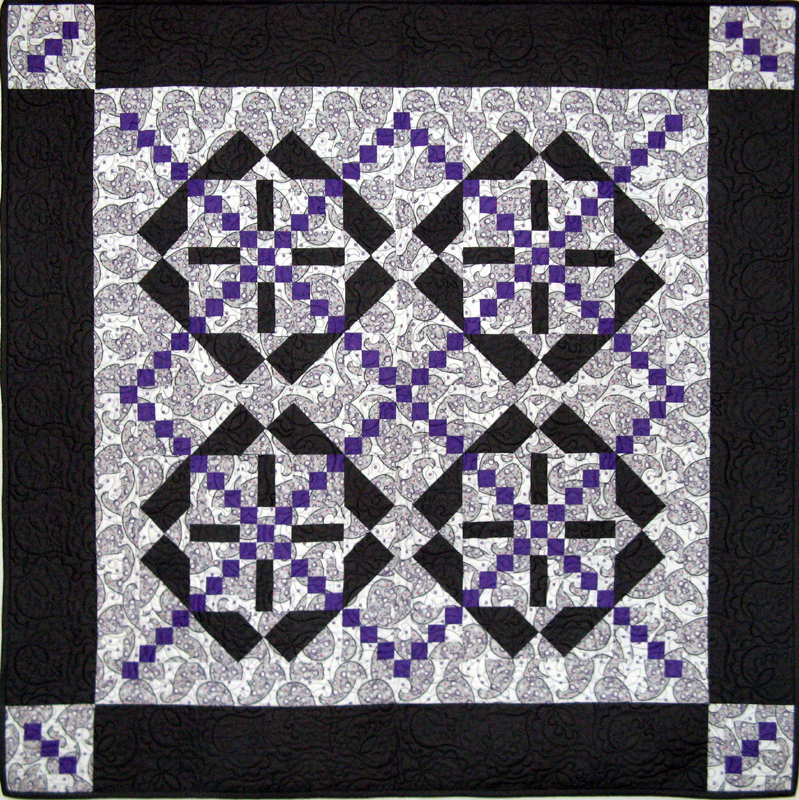 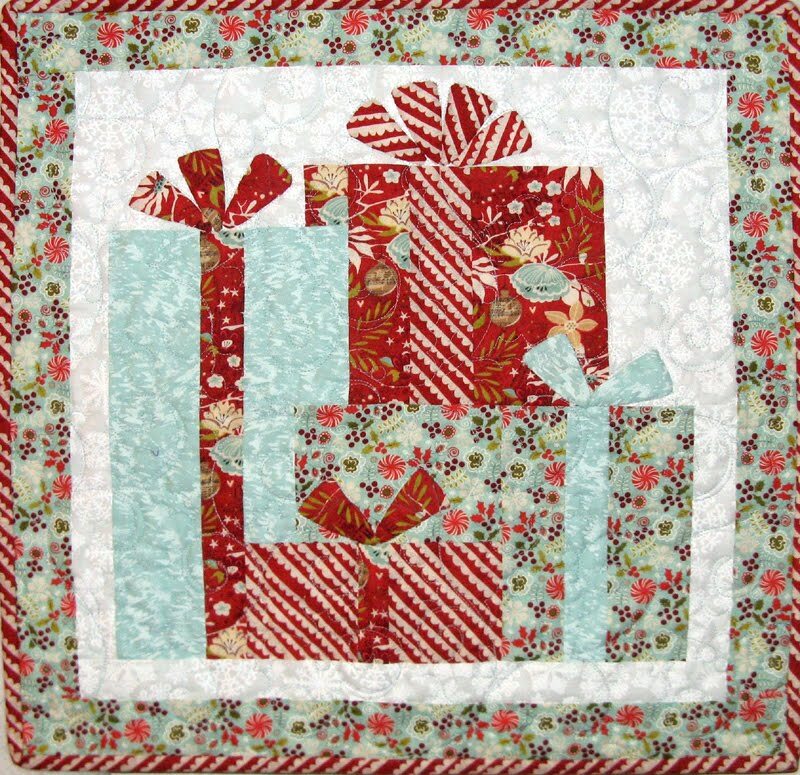 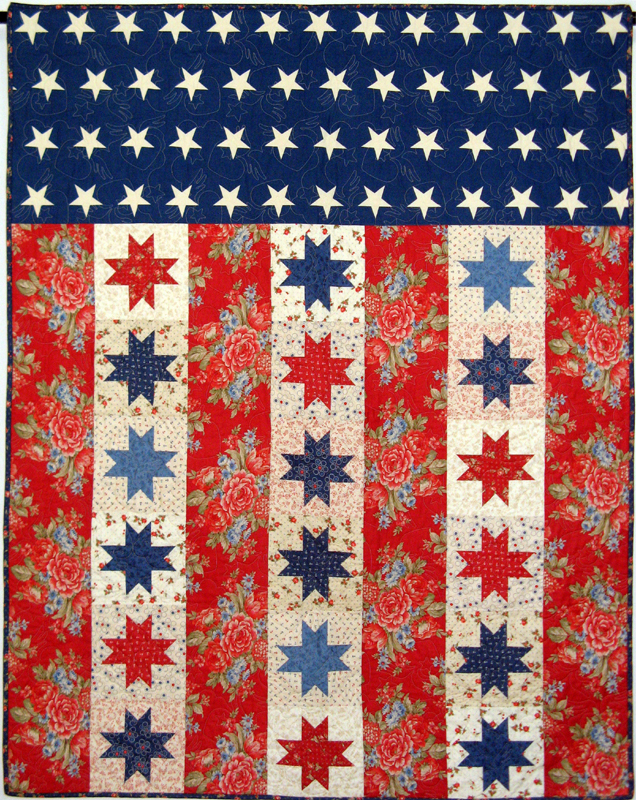 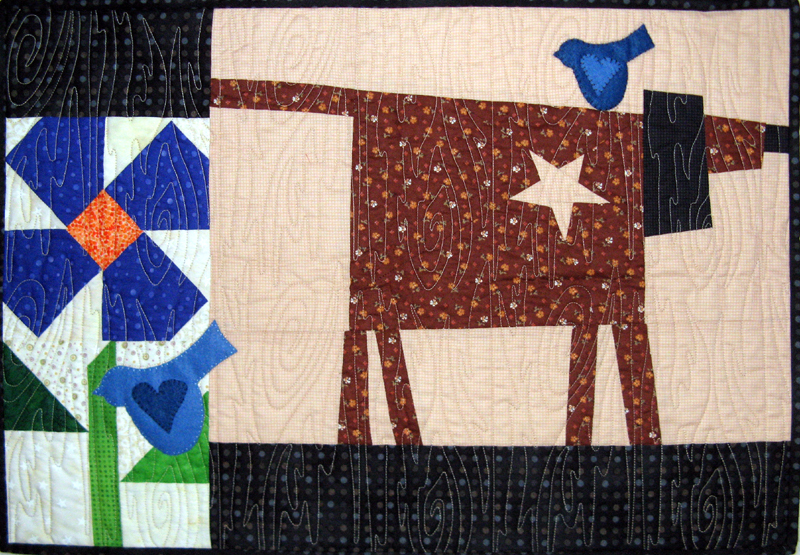 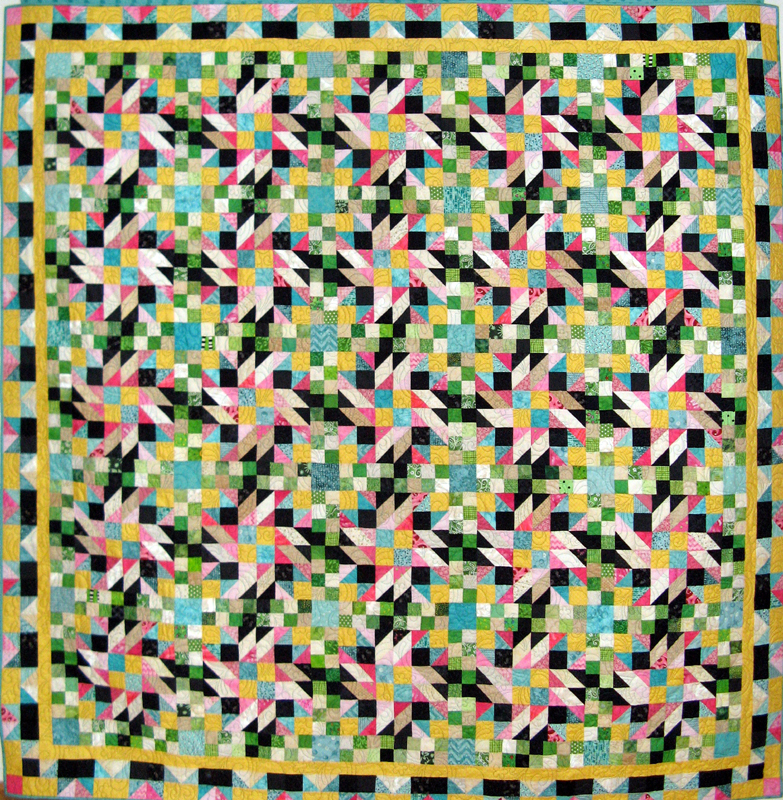 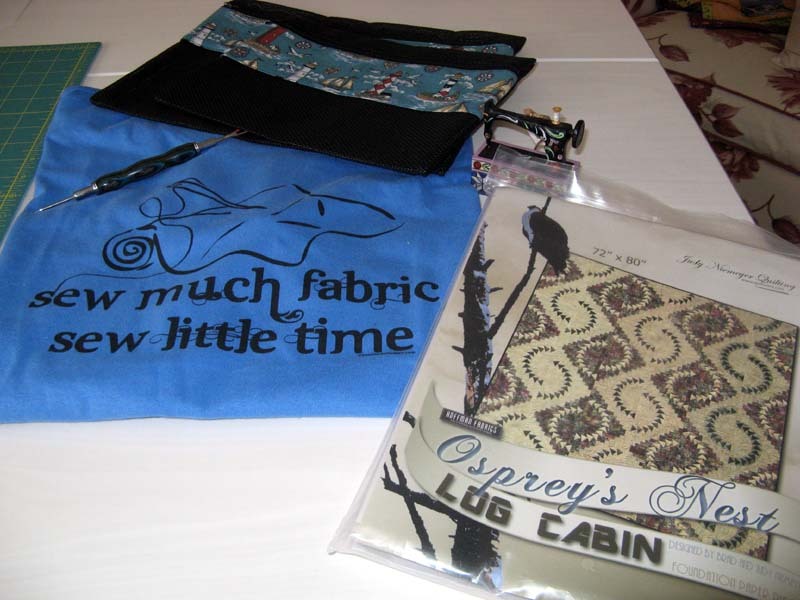 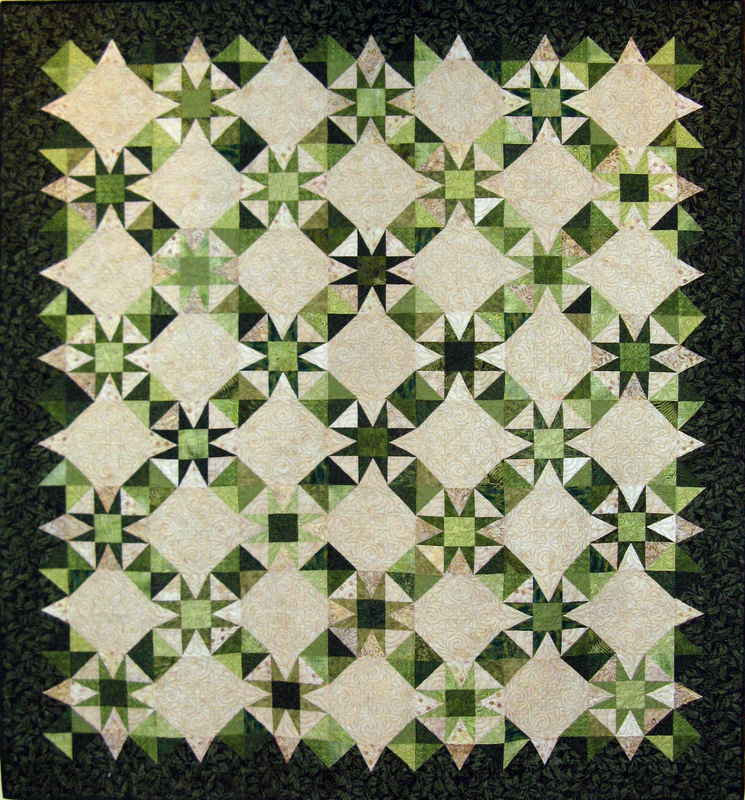 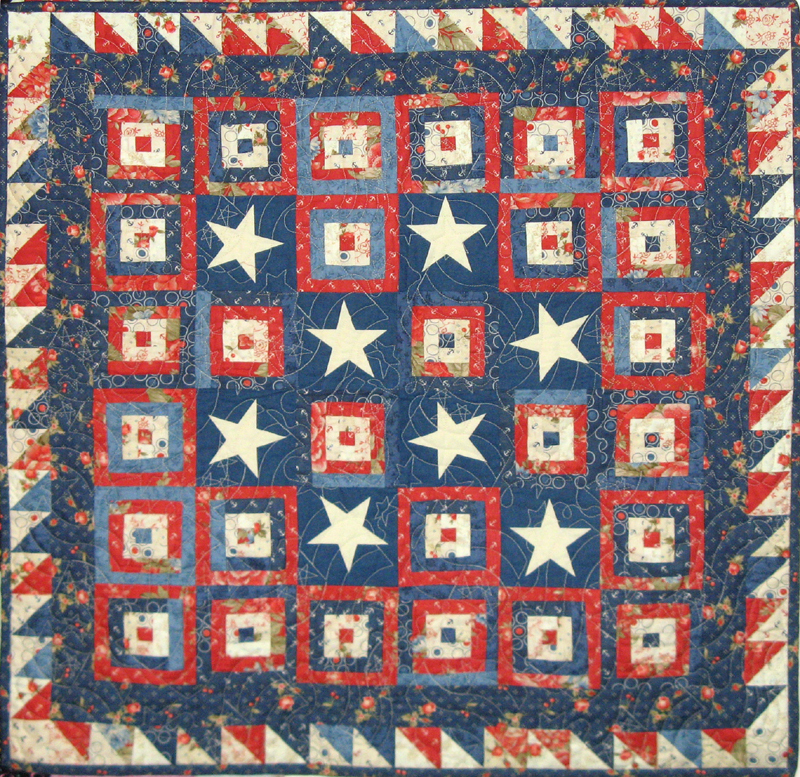 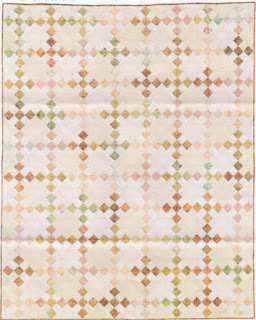 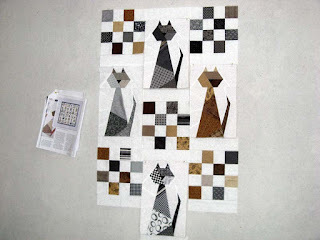 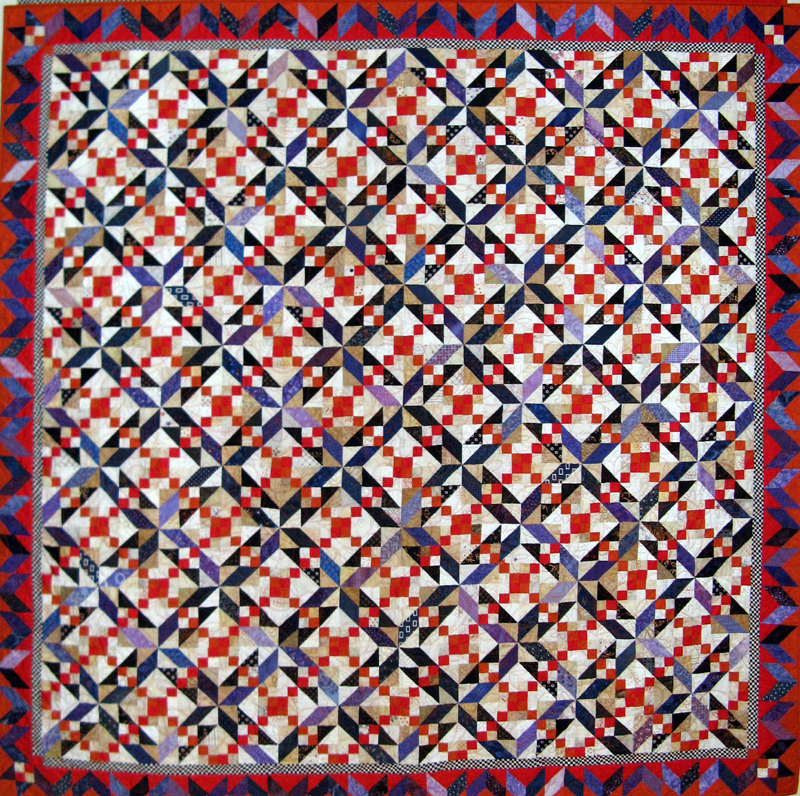 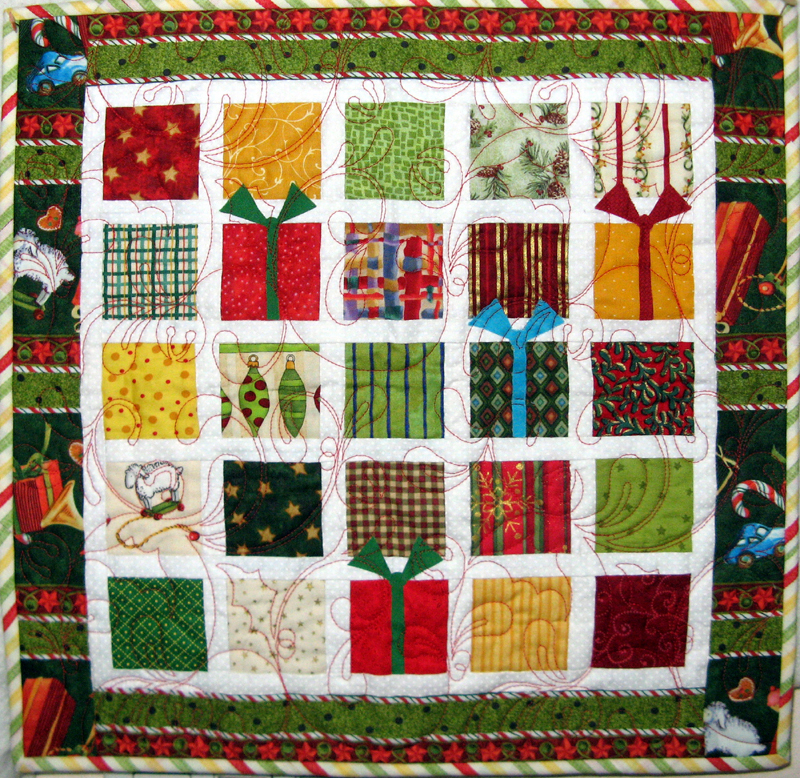 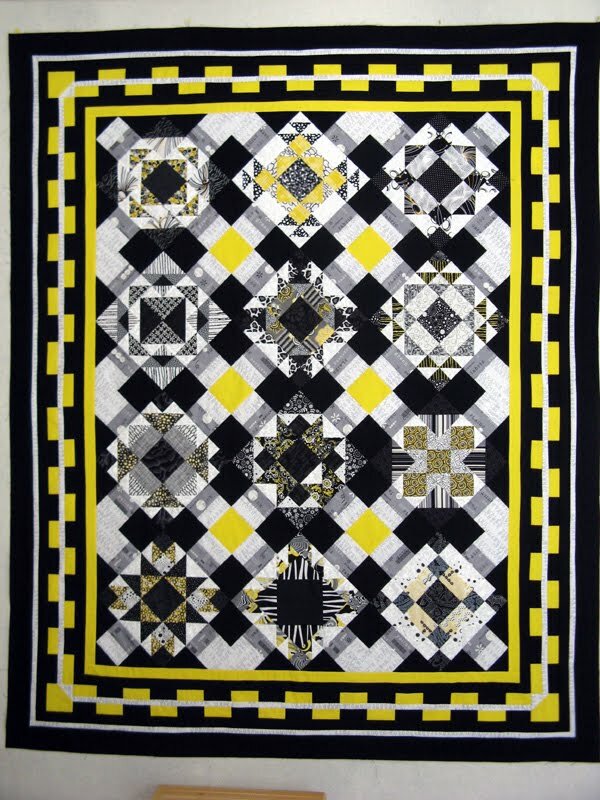 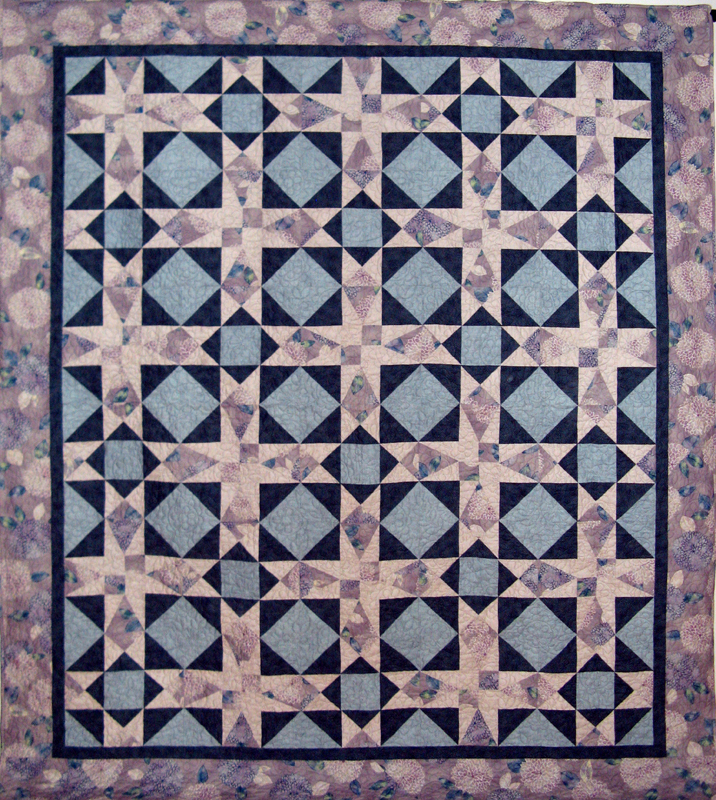 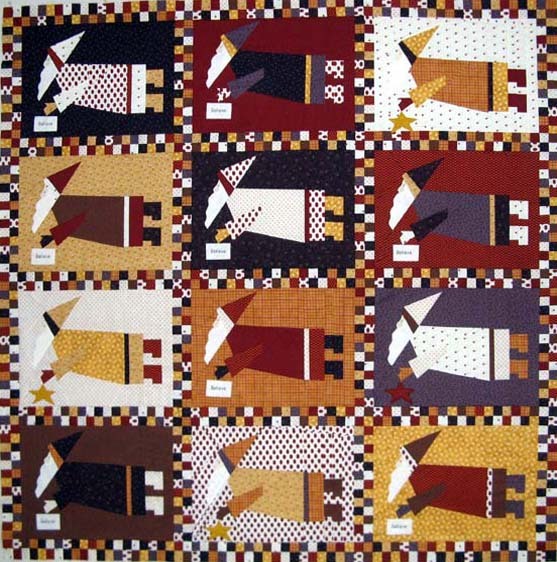 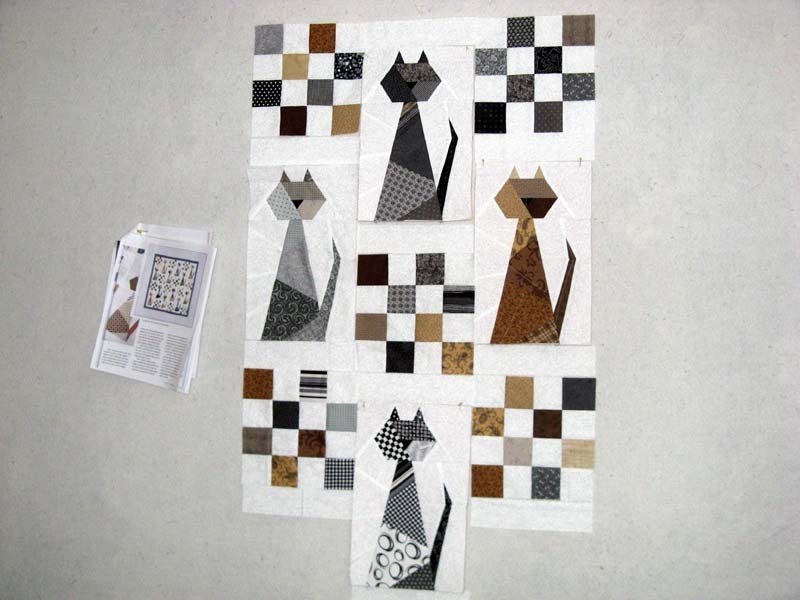 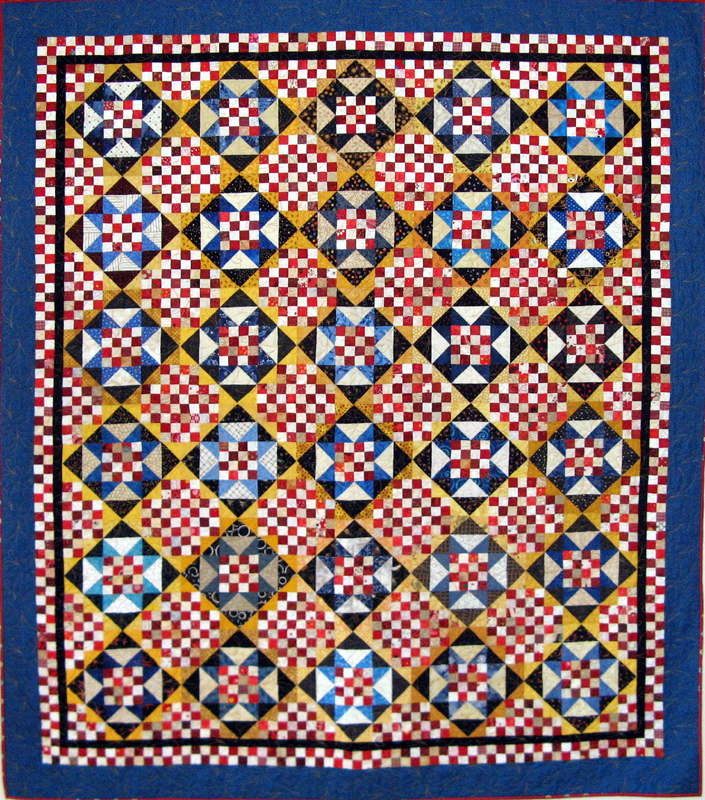 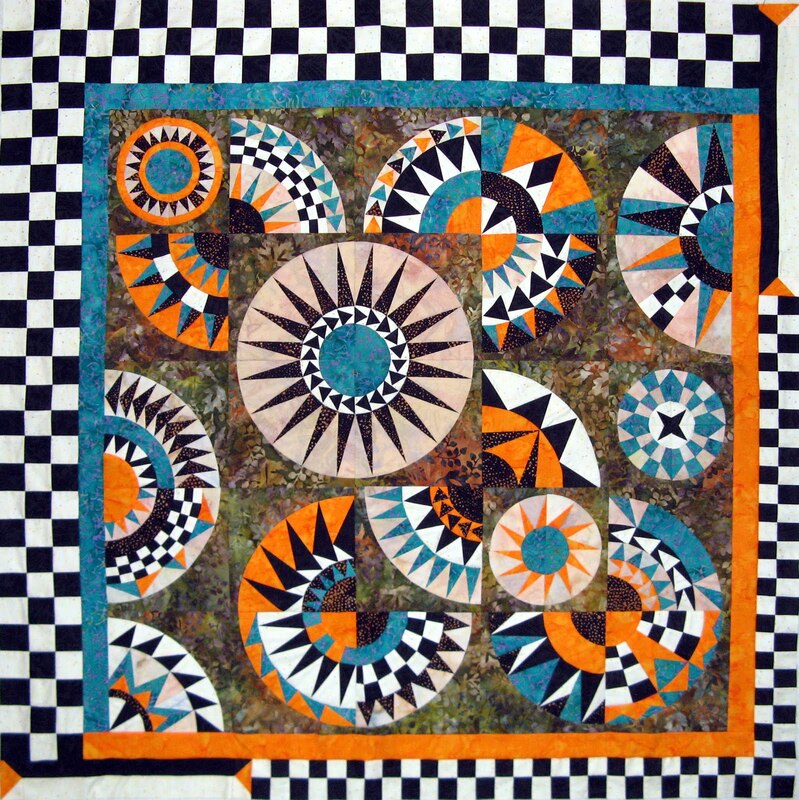 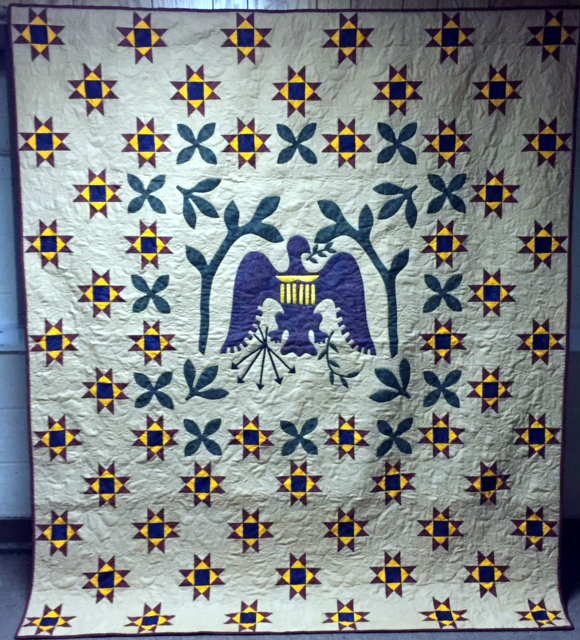 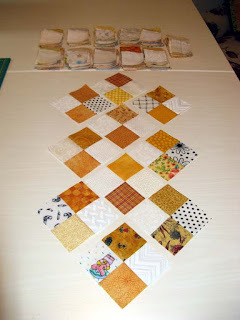 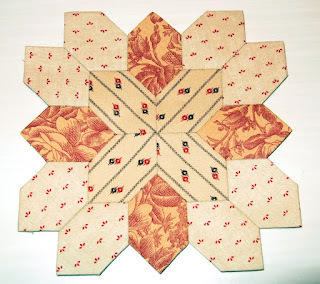 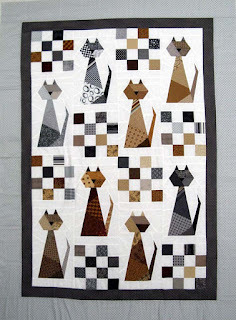 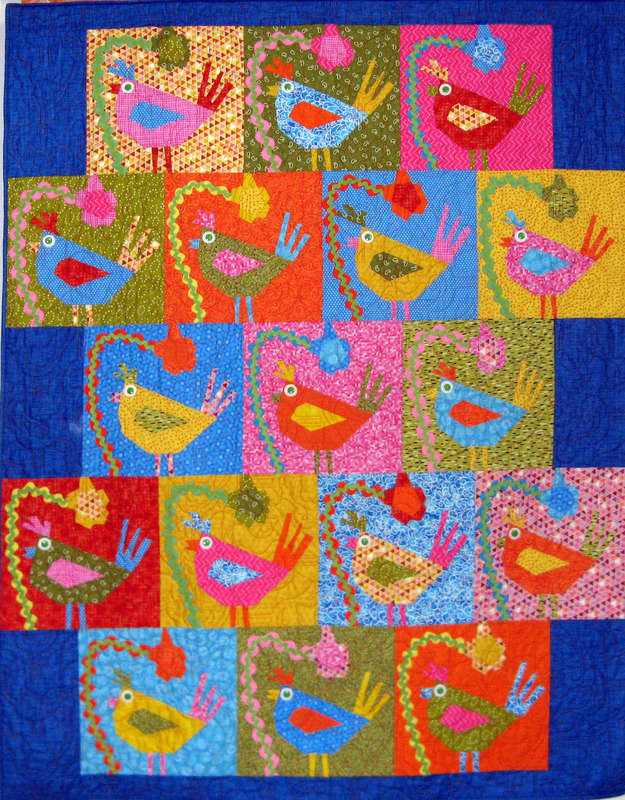 See what others are doing today through the links at Patchwork Times AND stop by and see others who are participating in the Mystery at Quiltville.